For Nigel Havers, returning to the stage is a bit like a homecoming of sorts. The actor, who started his career in theatre and has been in the industry for more than 40 years, will take on the role of Serge in Yasmina Reza’s Art, when the Tony-award winning play is performed at the Gaiety Theatre in Dublin, later this month. Nigel, who has been to Ireland many times before but has never performed in the city, is excited about the upcoming project. “I’d never been to this beautiful theatre, so I’m looking forward to that,” he says of the Gaiety. As the title suggests, Art is about a painting, a white painting at that. 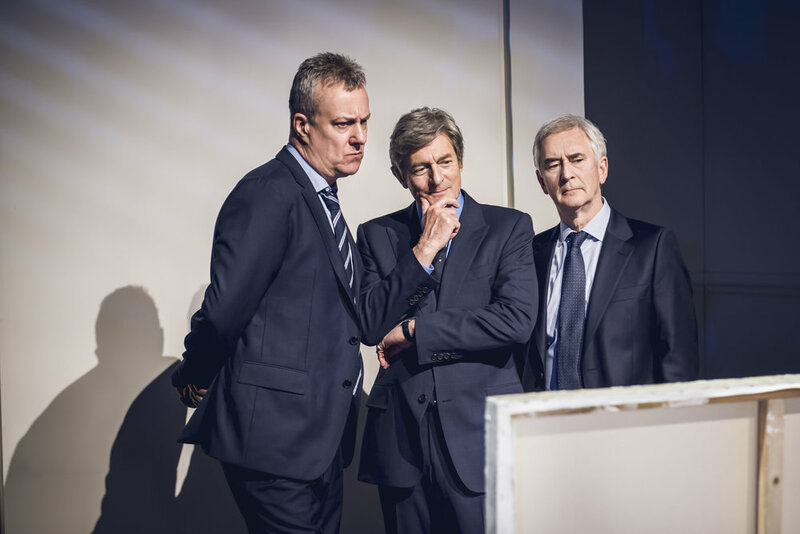 Alongside Nigel, who says rehearsals are ‘going great’ Art also stars Stephen Tompkinson and Denis Lawson. “The elephant in the room is a white painting. How many white paintings have you seen in your life? There are a few around the world, painted by very famous artists, it’s not as if it’s a novel idea,” Nigel says. This is a tough play to do every night. There’s a lot going on, so there’s no rest and there’s nowhere to hide in this play,” he continues. And is there anything he would still like to try his hand at in the future? “I don’t think there is,” he says.